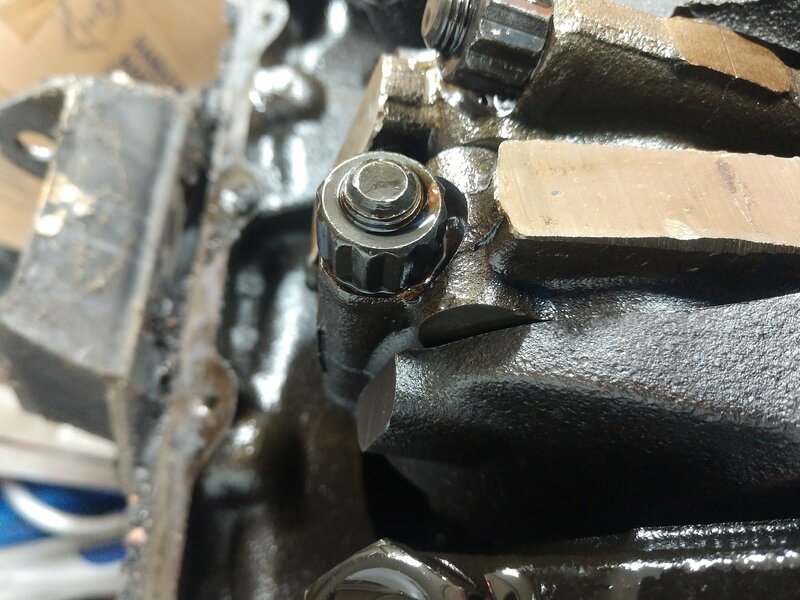 First time I've torn an engine down so forgive my dumb question but I pulled the oil pan off and the connecting rod bolts are multi point with virtually zero clearance to get a socket on them. Will a thin walled 12 point socket get on these or is there some other thing I need to buy to get these off? I was expecting a normal hex head based on the year down vids I've been watching. Yes, a thinwall 12 point socket fits these. I was able to use the regular 12 point socket in my Craftsman tool set. Hmm my Craftsman socket won't fit between the bolt and cap. Guess I'll look for a thin walled socket. Pretty sure I did the same, maybe the newer Craftsman are thicker. I used a C-man 3/8 drive socket and it just fits. FYI I had to go buy a cheap socket set from Harbor Freight. My Craftsman and my cheap Huskys were both too thick.